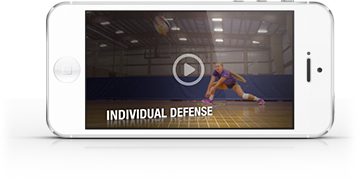 This fast-paced drill helps your front-row players get used to getting low and playing a ball out of the net. Have pairs rotate through, with each duo attempting to successfully pass a ball that was tossed into the net so that their partner can jump and hit it over the net. First pair to 5 wins!